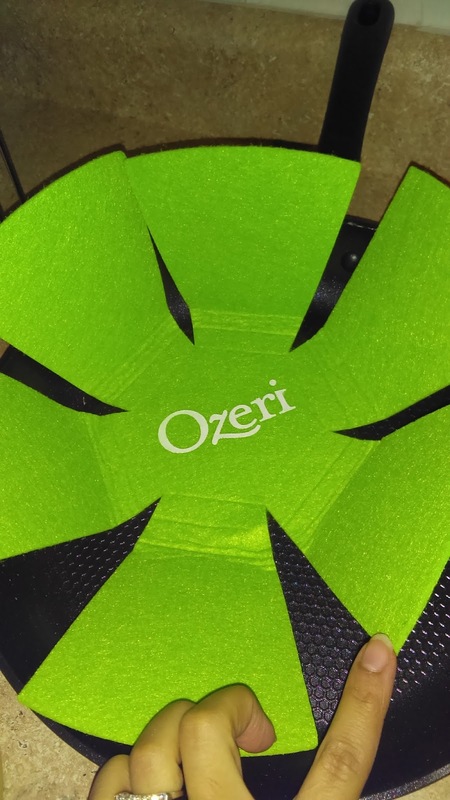 You might have read my previous post on the Green Earth Pans from Ozeri. 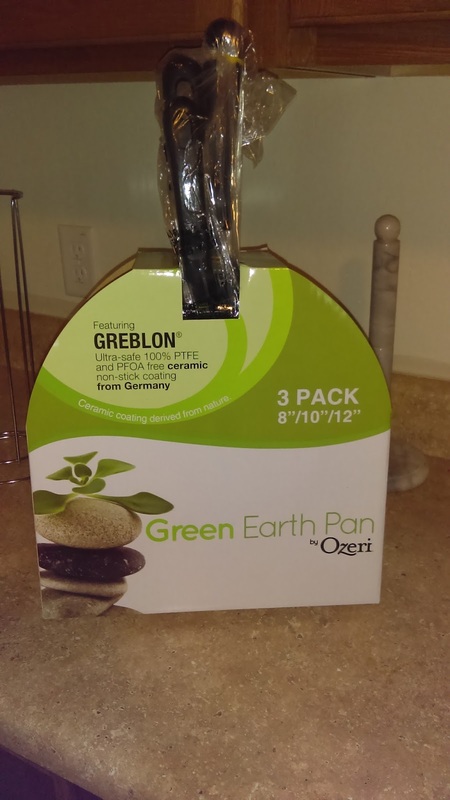 They're non-stick and have Greblon, as opposed to toxic Teflon. Well, if this is your first time reading about these pans, let me just say-they are some really nice pans. I now have a set of three. 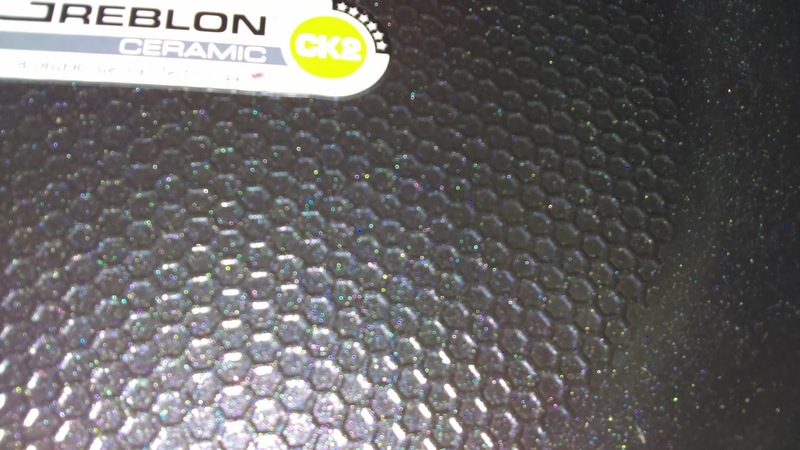 There is an 8", 10", and a 12" pan. I tend to cook several things on the stove and once and now I can use all three at once with the main dish and sides. My favorite things about these pans are that they heat very evenly, they are a nice green color, and they don't stick, as I mentioned above. It helps that they have a honeycomb-like texture on them. I like that you don't have to use really high heat, and you really shouldn't even if you want to, for food to get cooked just right. Your food will also be cooked faster thanks to that even heat distribution and the fact that they heat up very quickly. I haven't had any issues with food sticking all over them, which sure does happen with many of my older pans, and even some of my so called "anti-stick" pans. I think the key is to really make sure to "season" them with oil from time to time. 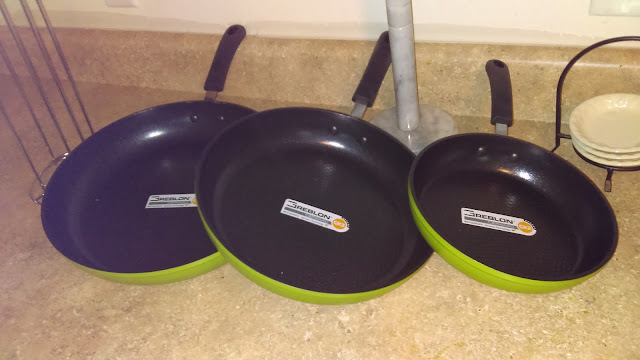 Other ways to make sure that these pans last for a long time is to hand wash them with a non abrasive sponge, keep them away from high heat, make sure to use pan liners when storing them, use wooden utensils when cooking, and don't leave them to dry on a drying rack with other dishes. Hand dry them after washing and put them away. If you do all of these things, they should truly last. My other single Green Earth Pans that I own have been used several times and they still look as new as when they arrived at my doorstep. You can order one of these sets here on Amazon.